As a working mom, I don't get to spend a lot of time with my son. He mostly spends time with my parents and their means of entertainnment is either television or computer. 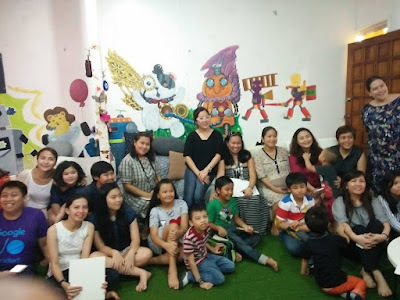 Last week I am happy to have been a part of Sparklelab's Mommy Bloggers and Kids Event thru the invite of Occasions of Joy. The day was so worth it for me and Yuwan because we really had fun as soon as we entered the room. There are lots of books, toys and other learning materials that entertained all the kids. 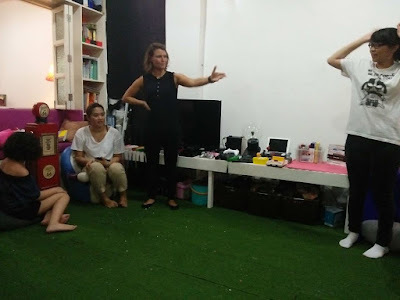 We experienced one of the summer workshops Sparklelab offers which they call "GET REEL". This workshop is "THE ART of STOP MOTION" which involves activity of developing the craft of storytelling and create beautiful stop-motion animation. We were divided into two groups. The first group used toys to tell a story while our group used clay for our animation. The theme we used was the nursery rhyme of Humpty Dumpty. 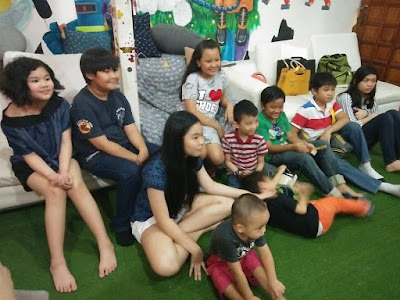 This one of a kind activity is very ideal for parents and children who wants to have a bonding ativity that you will both enjoy. Yuwan and I enjoyed the activity from start to end, from molding the clay into the characters we chose, to post production. Yuwan actually have a short span of attention when it comes to play but with claymation, he was all ears and eyes. While Sparklelab is holding their own classes, they also hold activities with other schools and organizations. They organize pop-up Sparklelab events during school fairs and mall activities. They also conduct teacher trainings about play-based education in STEAM (Science,Technology,Engineering,Arts and Math) related subjects. Sparklelab also help museums and companies design play-based educational experiences to their visitors and employees. 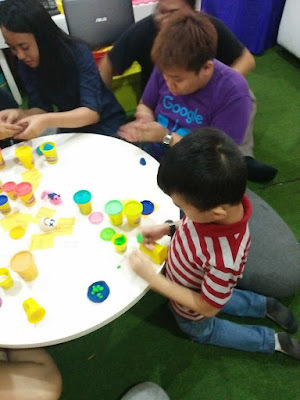 If you are looking for summer programs or activities that will spark creativity, imagination and the love for learning while playing and having fun, give Sparklelab a call at 0917-8014778. Sparklelab is currently located at 455 P. Guevarra Street, San Juan City. They will other branches to open soon. Visit Sparklelab's website at www.sparklelab.ph for more info. GAMEMAKERS--Gamemakers is a series of workshops that focus on game design and development. Young people play games, modify games, learn how to play critically and reflectively. Children will learn how to create objectives, define rules, develop mechanics, and scaffold challenge thus designing unique, playful experiences in physical and virtual worlds. Gamemakers are divided into two programs. Gamemakers 1 will teach kids to create board games, card games, and role playing games. Gamemakers 1 will also give children an overview of developing digital games on which Gamemakers 2 will concentrate more on. On the other hand, Gamemakers 2 will teach children how to create digital games using Scratch, a programming language. Children will learn to write the narrative of their own game, design core mechanics, components, and the likes, and eventually build their own video games. TOY MILL--Toy Mill workshops lie at the intersection of arts, designing and engineering. Young people will play with toys, study them, tear them apart and put them back together again. Children will experiment with a variety of materials, discover their properties and imagine the possibilities that each material affords. Young people learn about circuits and bring their toys to life, making them talk, move and see. GET REEL--Get Reel is a series of workshops that focuses on storytelling. Young people explore the concept of narrative as expressed in films, games, animations, books, graphic novels and performance art. Through the course of Get Reel, young people learn about character, setting, plot and point of view. They develop their own narratives and express them through their medium of choice. SPARK--Spark is Sparklelab's program on robotics, electronics, and physical computing. Tinker with little treasures like motors and sensors, speakers, and LEDs. Children will learn how to build their own robots and meet quirky little creatures who run on AI. Furthermore, children will come across greater challenges and earn new skills--like coding, soldering, and creating with Arduino and Raspberry Pi. STITCHES AND CIRCUITS--Stitches and Circuits is a program that focuses on e-textiles, wearable technology and soft circuits. This course is perfect for every geeky fashionista! Children can create light up shoes, solar-powered head gear, or hoodies equipped with joy sticks that can redefine games on the go. All programs mentioned above consists of 6 sessions of 3 hours each session. 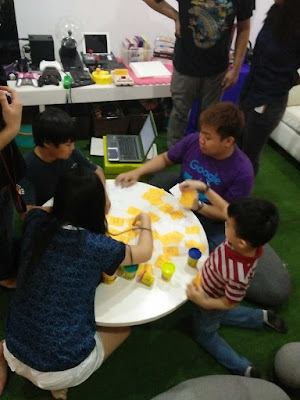 One workshop costs Php8,500 with a class size of 5-12 kids. Children are welcome to have a free trial, just contact Sparklelab for appointment. 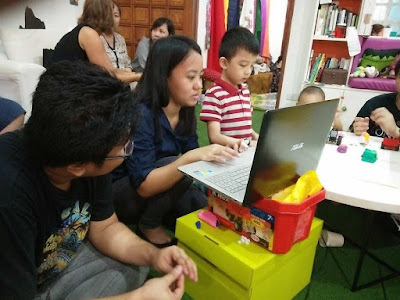 While most workshops at Sparklelab are designed for older kids, they also offer program for younger kids ages 3.5 to 6 years old called BYTE SIZE. Byte Size is Sparklelab's flagship program for young tinkerers, scientists, artists, and engineers! Byte Size class is for two hours for 8 sessions and can only accommodate maximum of 8 kids per session. Sparklelab was founded by Rosanna Lopez in 2013 and this year, Jacqueline van Ende joined as CEO. Both women have good background in teaching and promoting creative thinking among children and adults. Sparklelab designs play-based learning experiences mainly focused on STEAM. They offer a year-round program for children and teens (after-school during school days and summer workshops during school vacation). 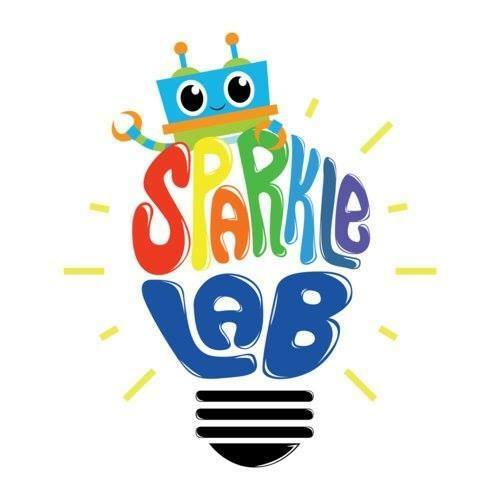 Sparklelab aims to prepare kids for success in the future by teaching the 21st century skills such as Imagining, Research/Finding inspiration, Exploring, Tinkering and Experimenting, Designing, Procedural Thinking, Collaborating and Connecting/Sharing, among others. Sparklelab wishes to create creative problem solvers, innovators, and lifelong learners by making learning extraordinary. SparkleLab is near my place. Let's enrol our future apos there.